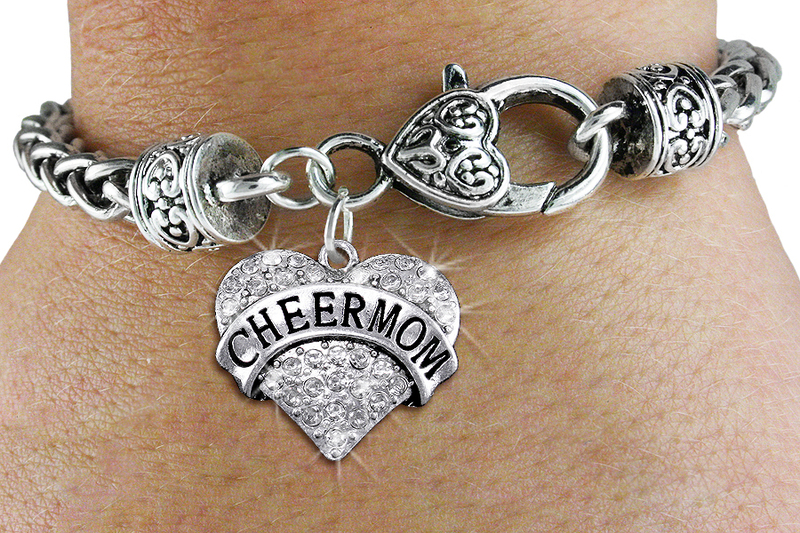 W1412SB - SILVER TONE "CHEER MOM"
Exclusively Ours! Lead, Nickel & Cadmium Free!! Detailed Antiqued Silver Tone "CHEER MOM" Heart Charm Is Covered In Faceted Clear Crystals And Comes On An Intricately Detailed Antiqued Silver Tone Chain Bracelet, With A Heart Shaped Lobster Clasp.